Carol Cashion and her family joined us on the island twice recently – in January of 2016 and then again a year later. 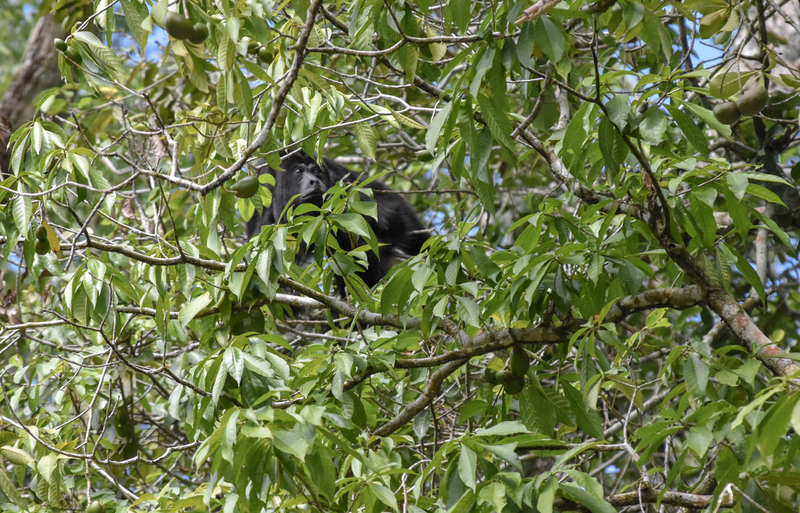 Carol wrote this blog post for us about how great is it is return to the island for a second trip. All photos are by her, or by other members of her family. Thanks Carol! 1. 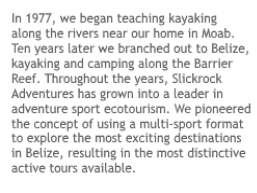 We already had all the snorkeling gear. No shopping! Huge savings! 2. It felt like coming home. We were greeted at the dock by familiar faces – both guests (Shaver-Watts!) and guides (Carlos and Luis!) 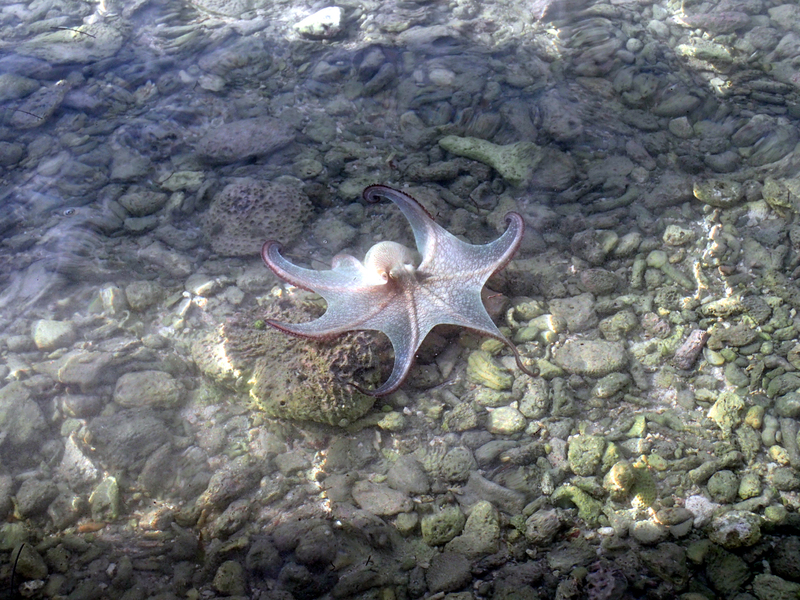 and the unchanging beautiful sites and sounds of the island. Bob and I even got the “Love Shack” again! 3. Widening the circle. We loved watching the first time guests discover the island, especially the Warren kids and our own addition, Jack’s girlfriend Anne. 4. Flattening out the learning curve. 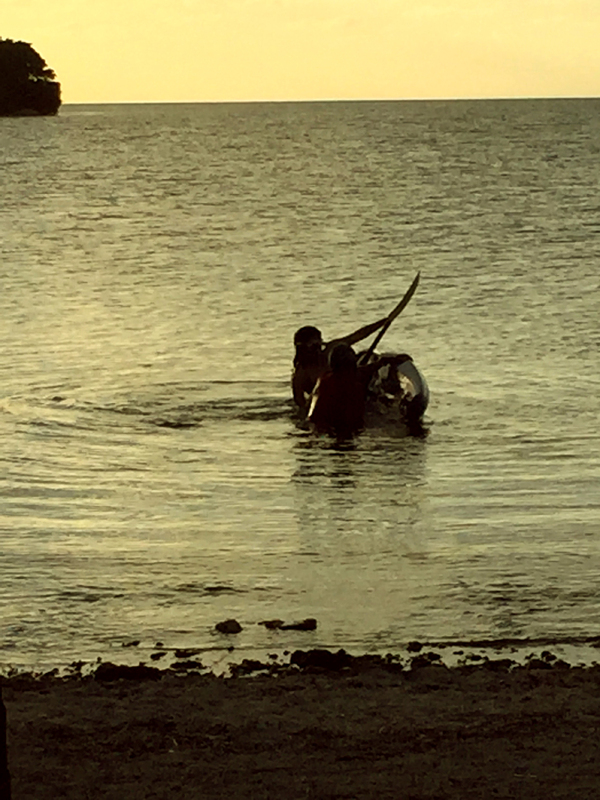 When you have the time to work on your kayak surf skills under the watchful eye of Carlos or Luis day after day, you slowly shift the capsize-to-ride ratio in your favor! 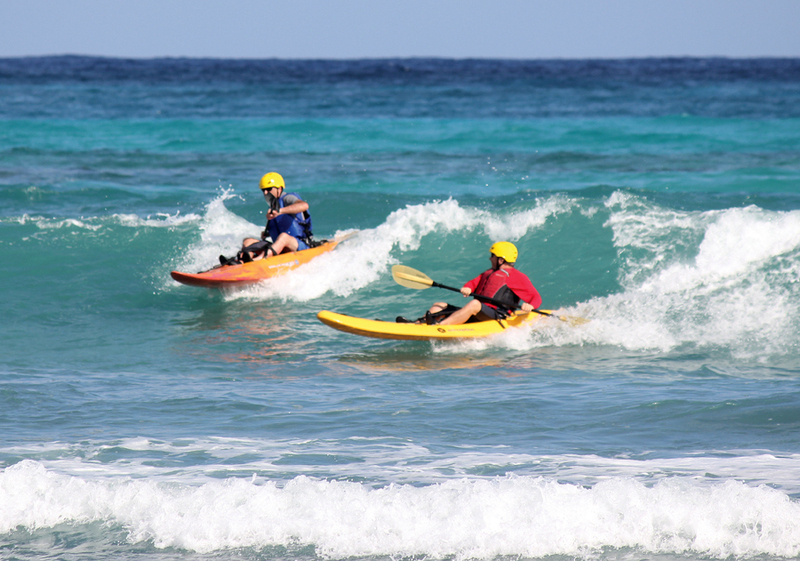 One of the most popular island sports – kayak surfing! 5. Night snorkel. Made impossible last year by a poorly timed “Northerly” storm. Amazing experience. Go Team Octopus! 6. Low tide walk (see “Northerly” above). The Slate Pencil Urchin. Wow! So strange and so cool! 7. 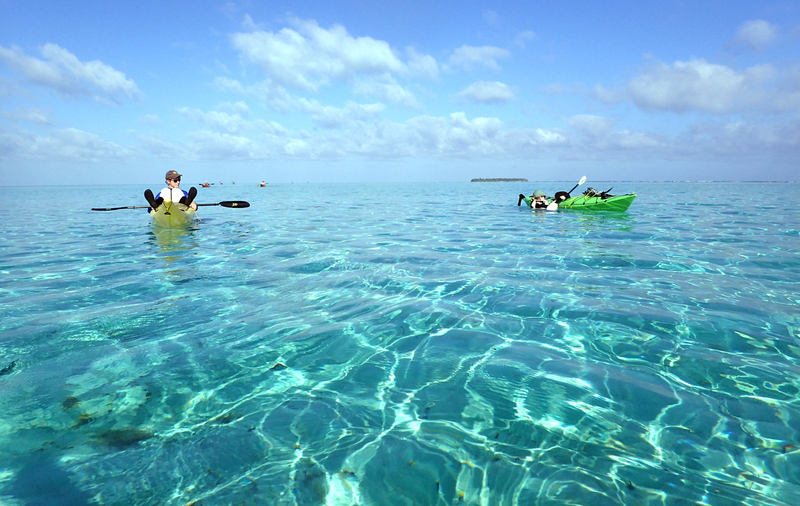 Paddle to Middle Caye (see “Northerly” above). So fun. But don’t believe MJ when he describes it as a “15 minute paddle”! 8. Enough time to learn something not very easy and entirely new. Luis spent hours teaching Anne how to roll a kayak. Just before sunset on their second day at it, she flipped that boat and then popped right back up. A great moment! 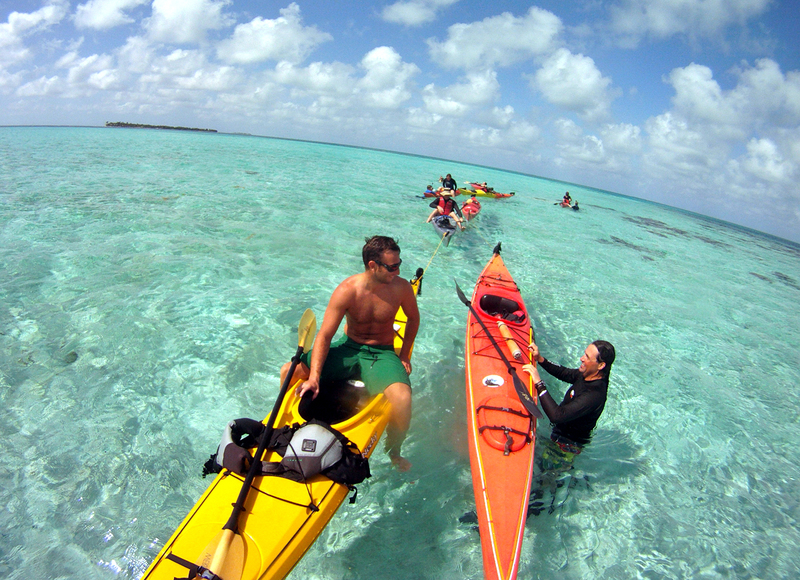 Long Caye is a great place to learn to roll a kayak – 80 degree water! 9. 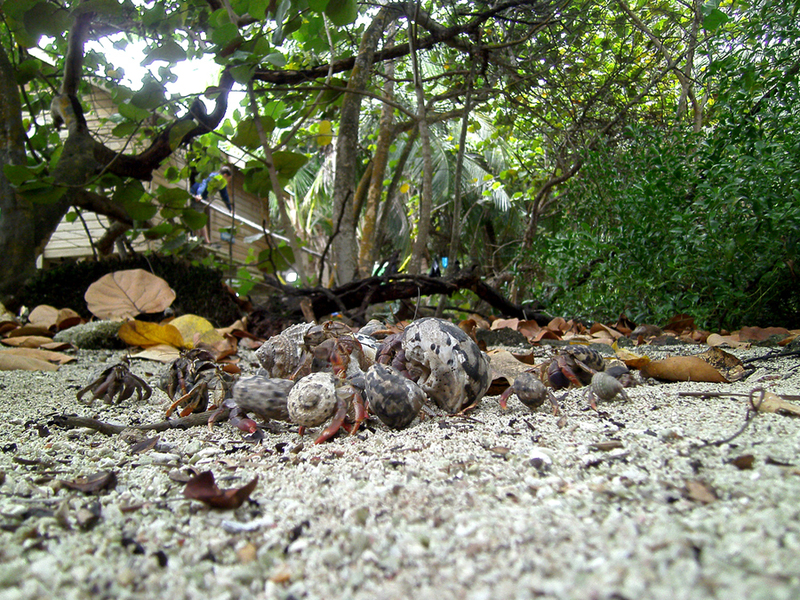 Hermit crab races. 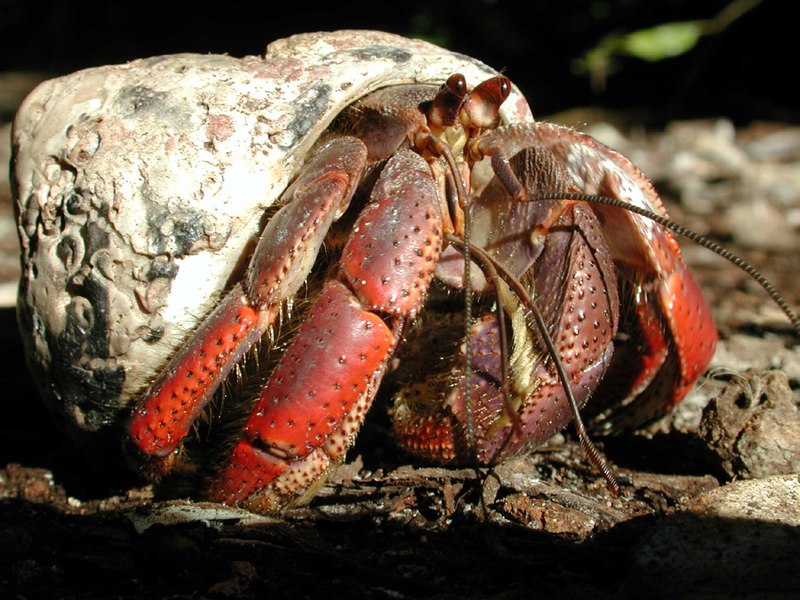 Not only were we there for this weekly event this year, we had the inside track on where to find the most energetic, best fed hermit crabs – down at the “West End dump”! 10. A chance to dance. We spent our last night dancing-‘til-we-dropped in the kitchen with our family and the always-game staff, who even re-hung the New Year’s Eve disco ball to add to the fun. A perfect ending to a perfect week. 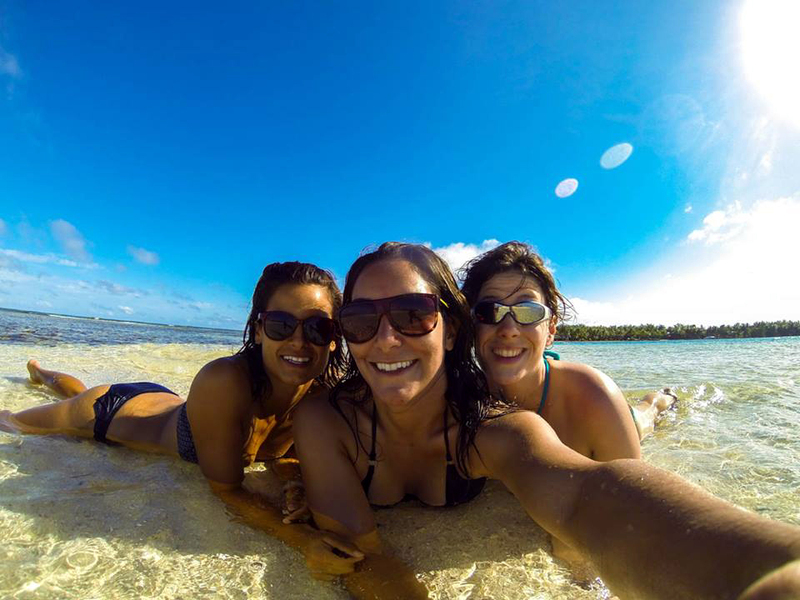 Laia Lanaquera Donet was one of our kitesurf instructors in Belize 3 years ago. Instructing on our private island at Glover’s Reef, at times she was our only instructor and was responsible for our entire kitesurfing program. She only worked for us for one year unfortunately, because after working for us one winter, she got a permanent position as a school teacher in Spain, where she lives. We still miss her! She was incredibly popular with our staff, not to mention our guests. 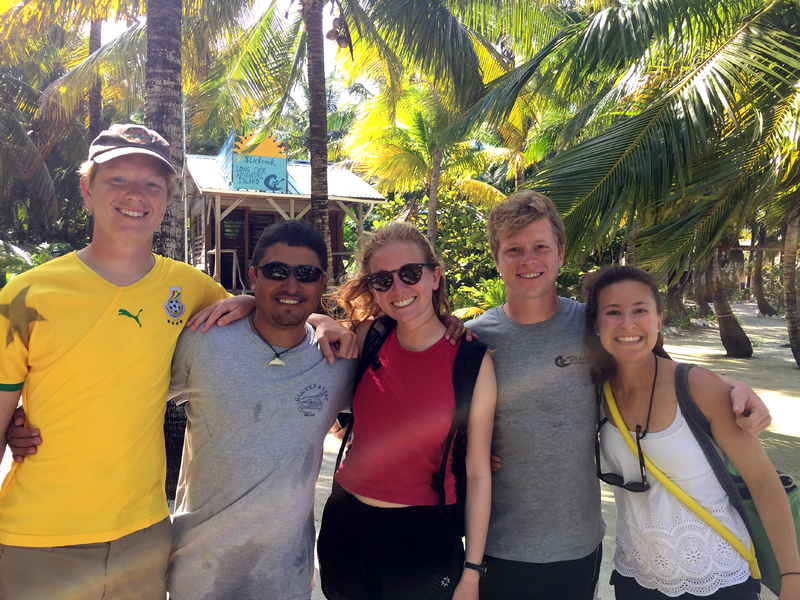 Especially our Belizean staff still talks about her because, coming from Spain, she speaks fluent Spanish, which is the first language of our guides and both of our groundskeeping staff. So she fit right in. 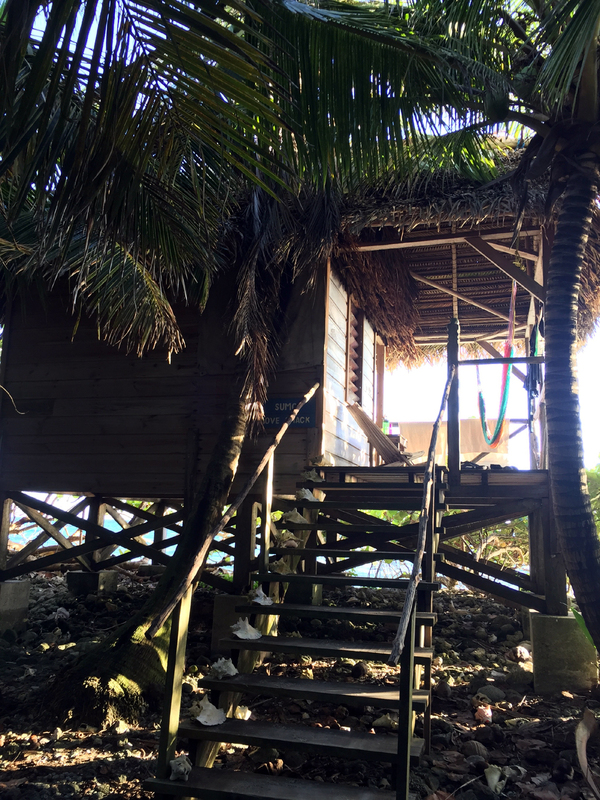 She recently published a blog post detailing what it’s like to work for Slickrock Adventures in Belize. 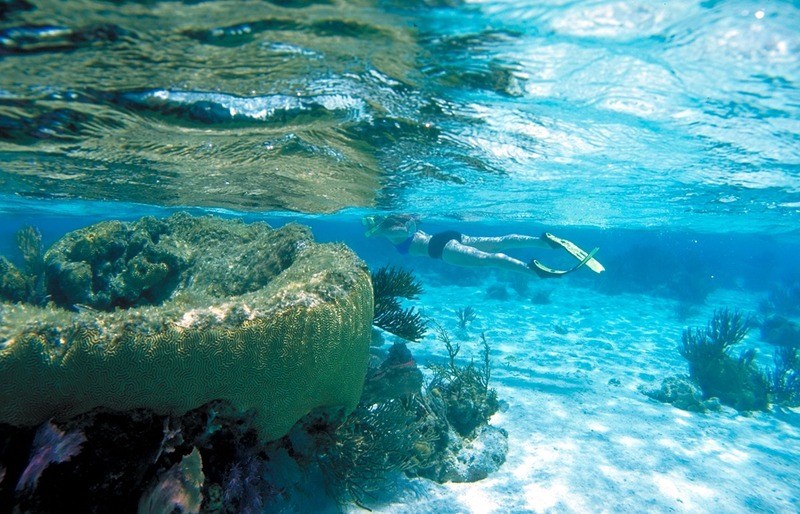 It will answer all of your questions about working on a private island in Belize. 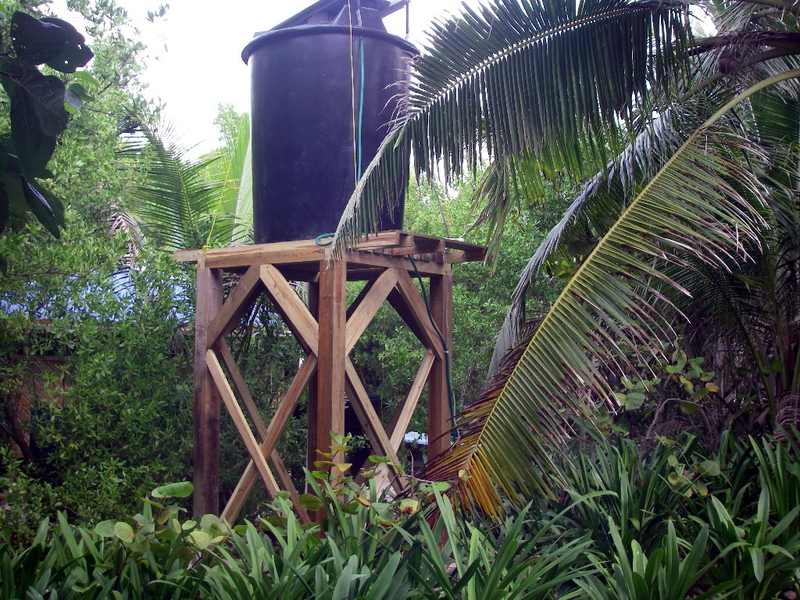 There are two kind of water on our Belize island: rain water and well water. Rain water is collected on our roofs and we use it for drinking, cooking, and tooth brushing. Even though we have over 15,000 gallons of storage capacity, we conserve this water. Once we run out, that’s it until the next rainy season. Right now we are just entering peak dry season. So it’s crucial to have wells on an island. You use it for everything else: laundry, bathing, dishes, and rinsing gear. 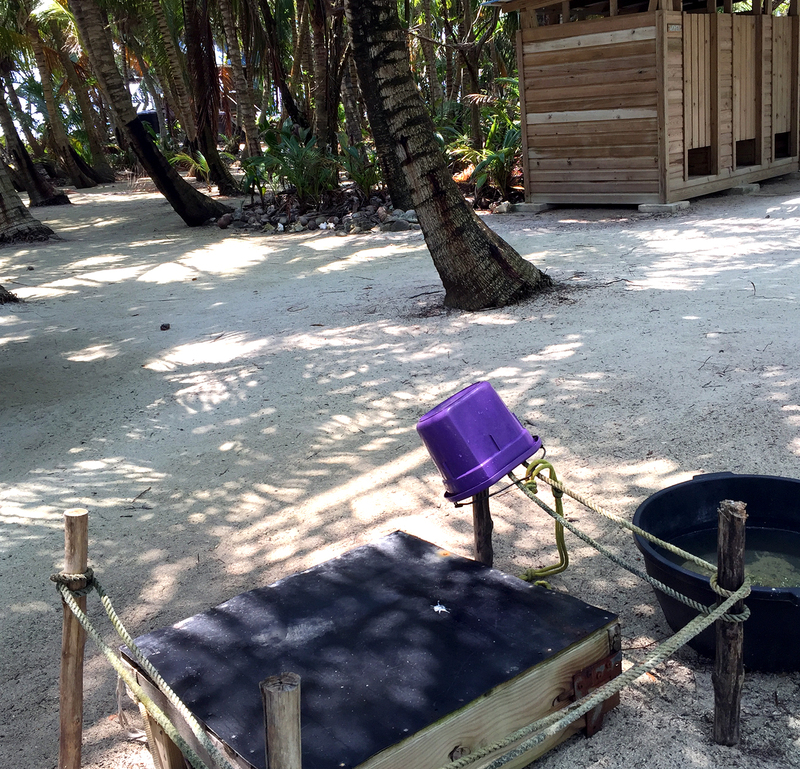 When our guests show up on the island, one of the first things we explain is the difference between the two kinds of water, and we show them one of our wells, the one that they use (pictured at left). When you open that hatch, everyone is surprised to see that a well on an inland is a 4-foot deep hole, lined with boards. That’s it. As you can imagine, the water table on a tiny island is not very far down. By digging a shallow well, you tap into the rainwater that falls on the island itself. When it rains, there are puddles everywhere for about an hour, and then they are gone. So where do they go? They soak in. This fresh water is lighter than the heavier salt water, so a lens of fresh water sits on top of the salt. Of course, there is no way to stop them mixing a little, so this water tastes salty, but feels fresh on the skin. I don’t know the percentage, but it’s probably .01% or less salt. Just enough to taste. So our wells have a bucket next to them, and you simply dip in to get water to rinse your snorkel gear or do your laundry. Our shower has a solar-powered pump that raises the water up to a tank that sits high above ground, so the gravity feed creates the water pressure. In the kitchen, another pump on another well provides water at a sink where everyone can wash their hands before meals. All of these systems are fascinating and people love to check it out. 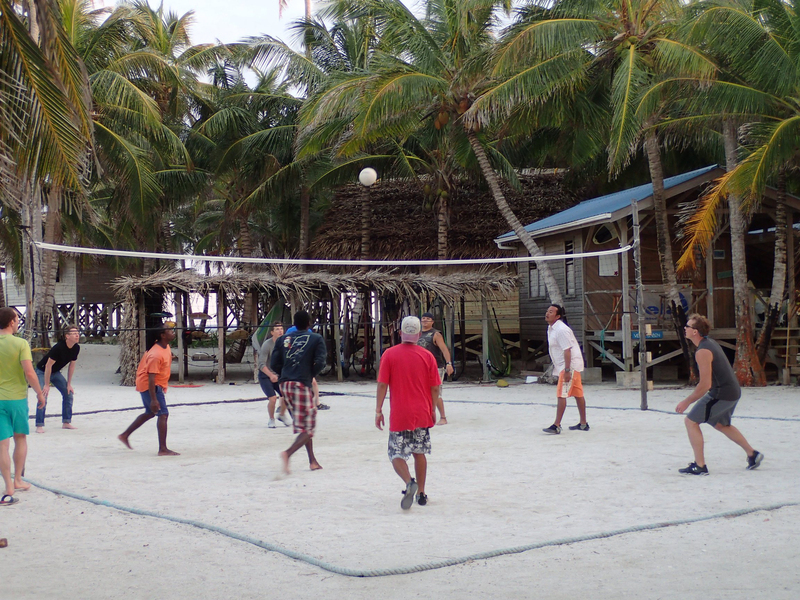 You can’t help but think of Swiss Family Robinson, although of course, they didn’t have solar panels! Taryn McLean joined us on our Belize Adventure Week outdoor adventure trip followed by an extra half-week on the island way back in January of 2008. She just wrote us to let us know that she publishes a blog called Healthy Family Defined, and she recently recapped her favorite adventure travel vacations before they started their family. Guess what: we made her top ten list! 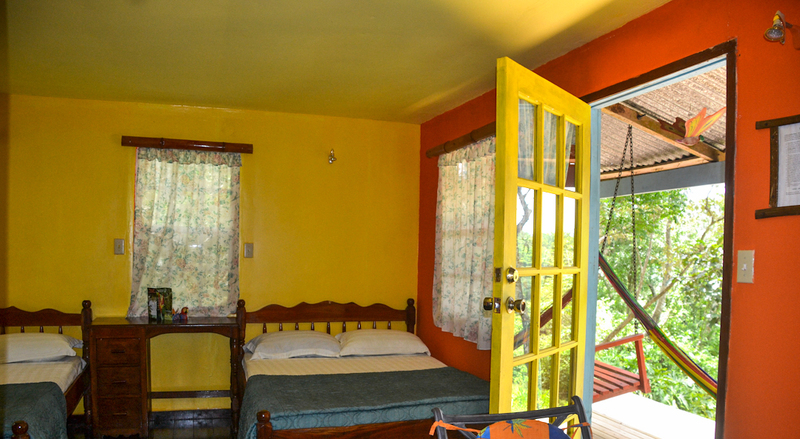 Visit her blog to read Our Favorite Travel Destinations (Pre-Kids). She includes their trips all over Colorado (they were living there are the time), honeymooning in Mexico, backpacking and kayaking in New Zealand, exploring the Exumas in the Bahamas and Acadia National Park in Maine, and several other adventures. I would say it’s pretty obvious that Taryn and Nathan love to explore. 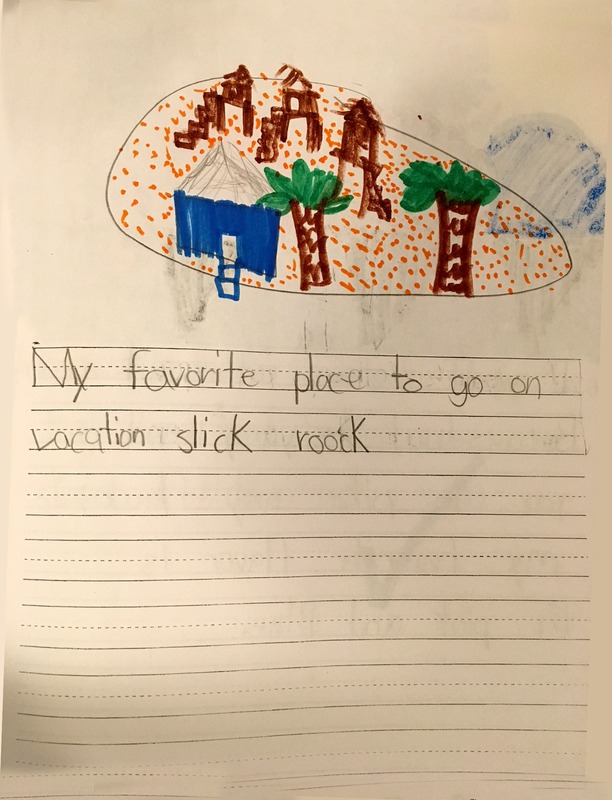 From reading her blog, I think Taryn is having a little bit of wunderlust nostalgia, and as her kids are growing, she just might be planning to return to some of these places, WITH kids this time. Thanks so much Taryn for including us in your impressive memory chain. We hope to see you and your kids out on the island soon! … or just the right wind for windsurfing. And since, for Slickrock, the number one priority on the island is safety, water activities could be canceled. If this happens, hopefully everyone has read the information provided, and brought something to entertain themselves. 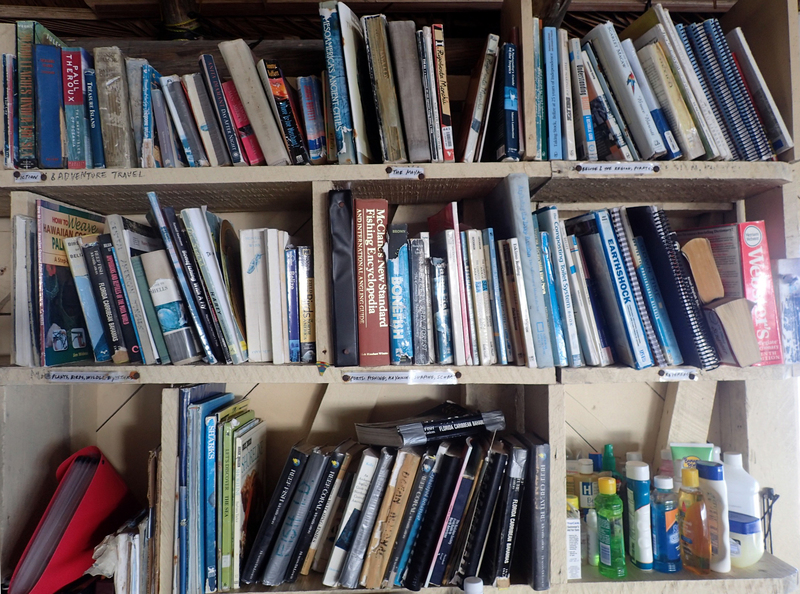 A good book will come in handy, if you haven’t brought one, there is a fairly good library in the kitchen area to peruse. There are also a number of board games in the dining hall. If the idea of sedentary activities causes you to despair, or you can only take so much “sitting around”, don’t worry, be happy, your hosts will organize something! … or my favorite, a scavenger hunt. Several years ago we found ourselves in this situation. Our trip manager announced that we could participate in an island scavenger hunt of sorts and the person with the most interesting find (as judged by all island inhabitants) will win a prize. The judging and award party would take place at the end of the week. 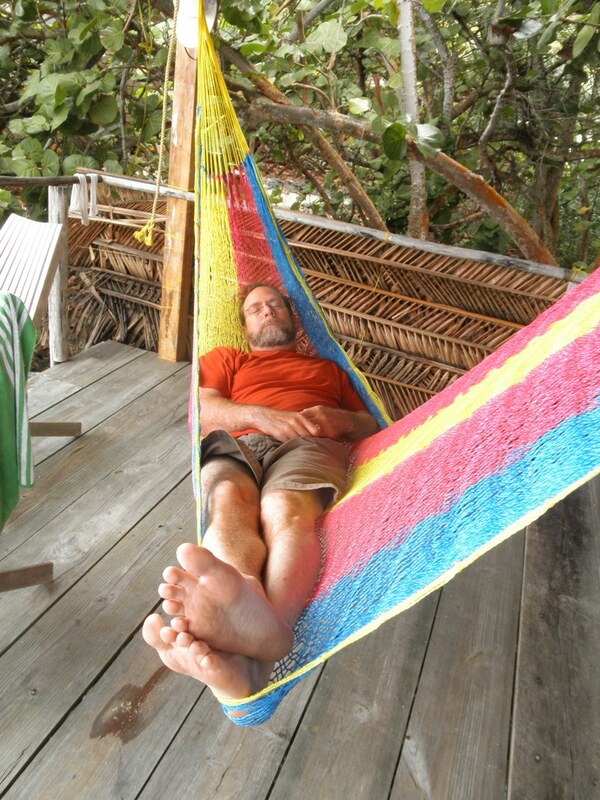 Luckily we weren’t wind-bound for the entire week but this would give us time to do a thorough search and have something to do when (or if) we got tired of hammock surfing. Like all islands and coastal areas worldwide, there is a fair amount of flotsam and jetsam to be found and the idea was to walk around the island looking closely in all the nooks and crannies for interesting items. I am an avid beachcomber and “treasure” hunter and spend not small amount of time looking down for things so this was right up my alley. 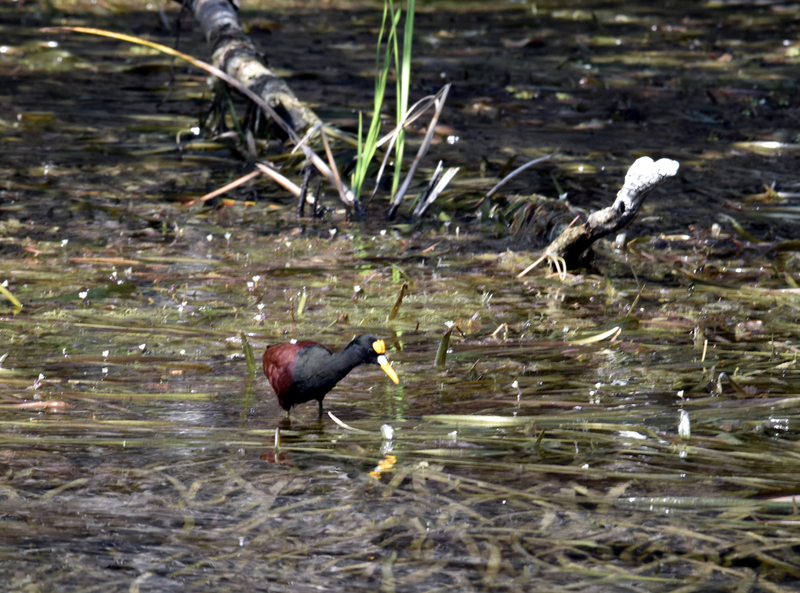 My husband and I had already been around the island many times and he had noticed the unusual numbers of tooth brushes scattered around on the shorelines and in the mangrove roots, so he decided to do a “study”. 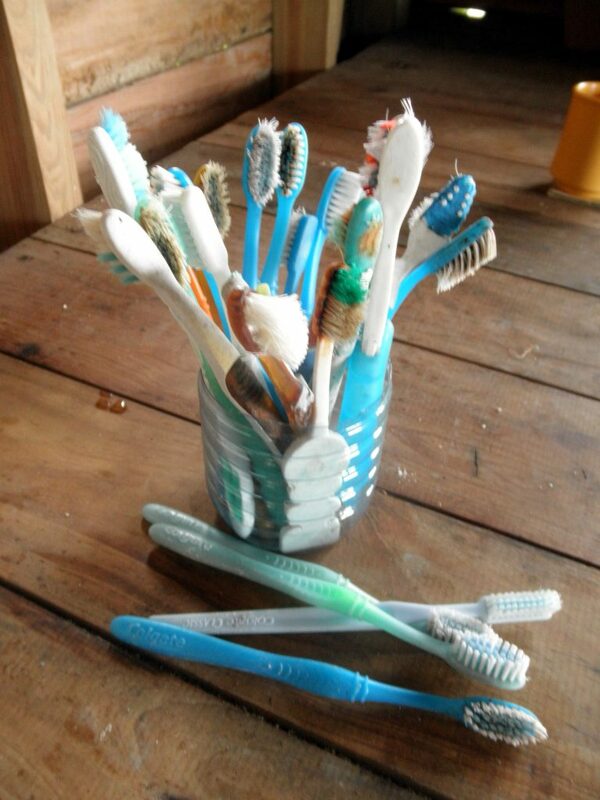 Over the next few days we collected all the toothbrushes we could find. I believe we found 30 or so then he spent some time sorting them out into different categories (color, brand, etc.) and drew up a chart of sorts of statistics about them. The percentage of certain colors and specific brands, etc. and came to a “conclusion” about the Belizean’s brushing habits based on his study. Many people participated in the hunt and a few came up with very unique and interesting finds. My husband won the grand prize with his presentation (see it pays to keep looking down) It was all great fun, and gave people something different to do during down time. It also acted as a bit of a segue to talk about something that no one wants to talk about but everyone notices and that is the flotsam and jetsam found all around the island. Not all debris (and certainly not all toothbrushes) comes from Belize and keeping it off or away from the island is an impossible task. In conclusion if you find yourself looking for something to do, you can; 1. Organize a scavenger hunt or 2. Grab yourself a bag and pick up some of the refuse. 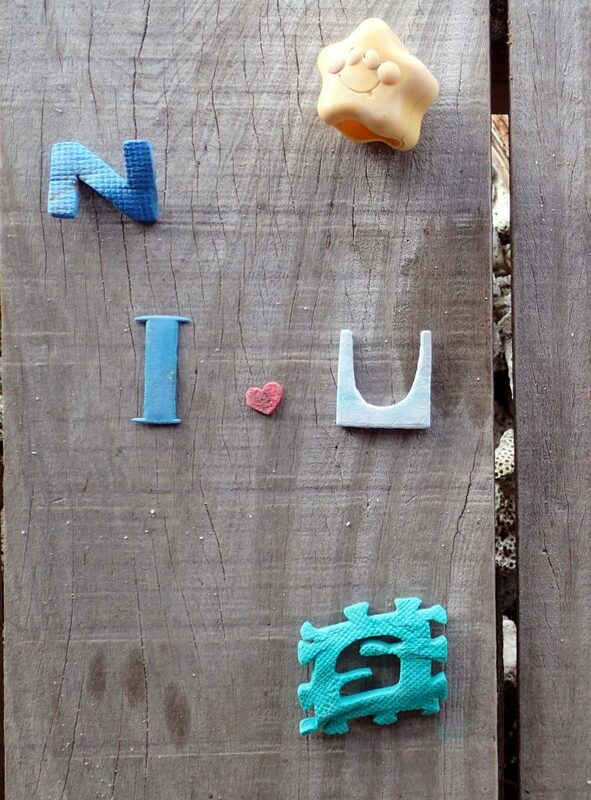 You never know what you might find, maybe even a Valentine message for your sweetie. 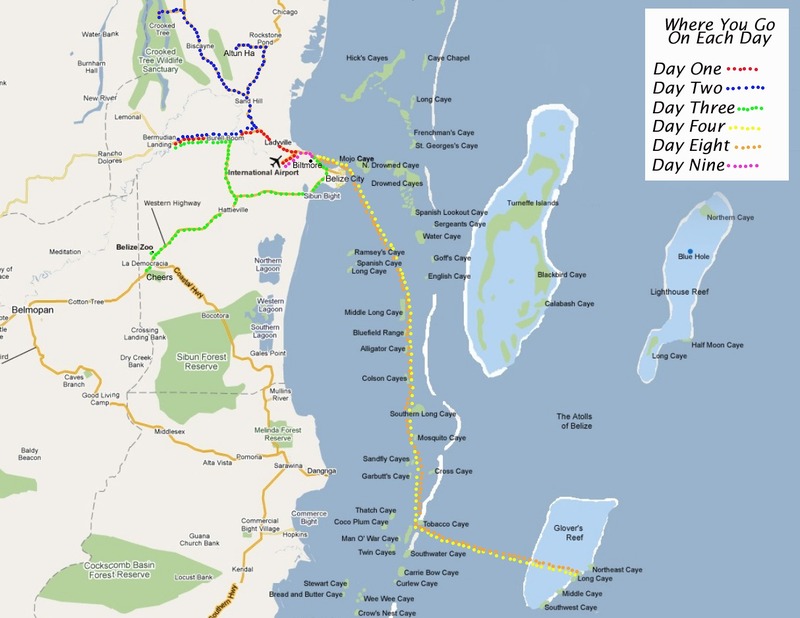 Are There Belize Surf Spots? Short Answer: Yes, One. 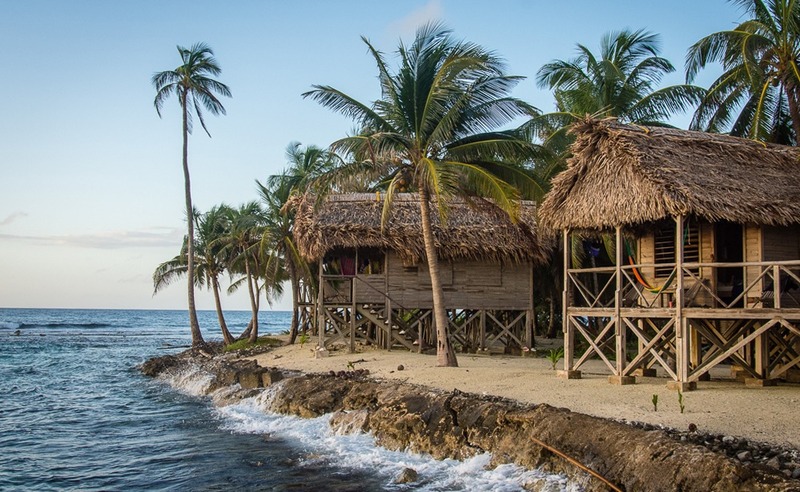 It is not widely known that a good surf location exists in Belize, and in fact if one inquires about a good surf break they will invariably get an answer that such a spot does not exist. 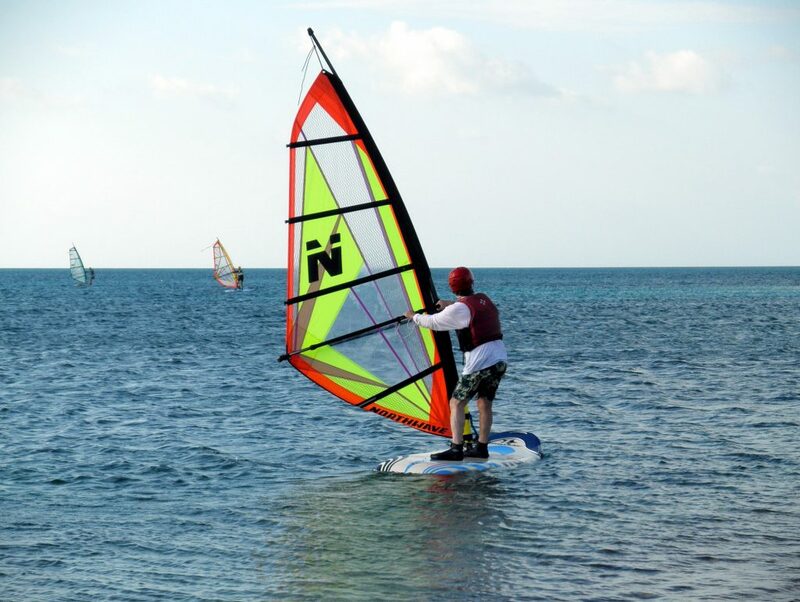 However, this is not the case, for there is surfing in Belize at a prime break located at Long Caye out at Glover’s Reef. 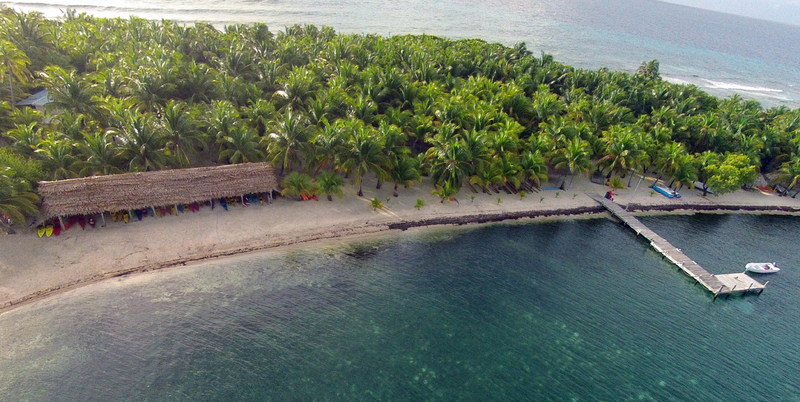 The windward end of Long Caye is owned by Slickrock Adventures, and it is off this point of the island that a channel though the ring reef of the atoll sets up a nearly perfect surf break. Swells coming in from the Caribbean hit the point of this break in the reef, and roll on through another 200 yards of sloping shoal before dissipating. 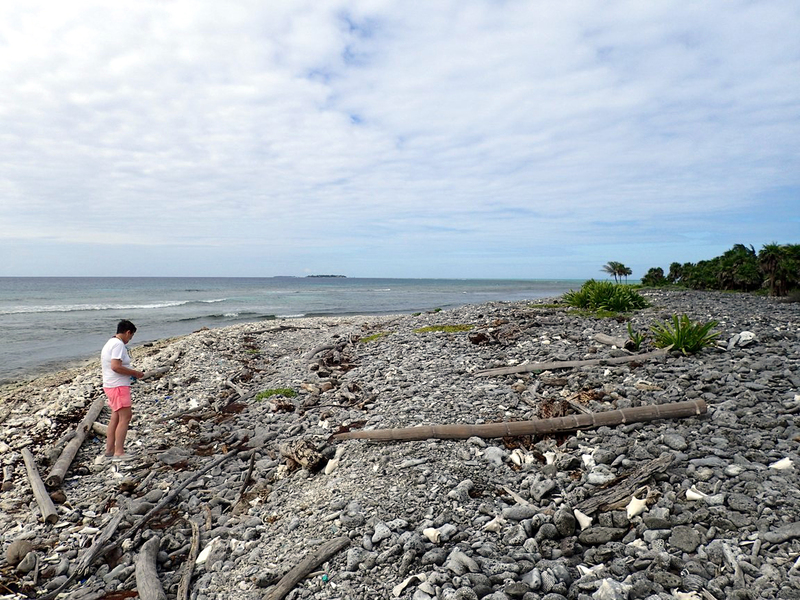 The shoal is composed of broken coral rubble, not live coral, which has been deposited in the lee of the reef. 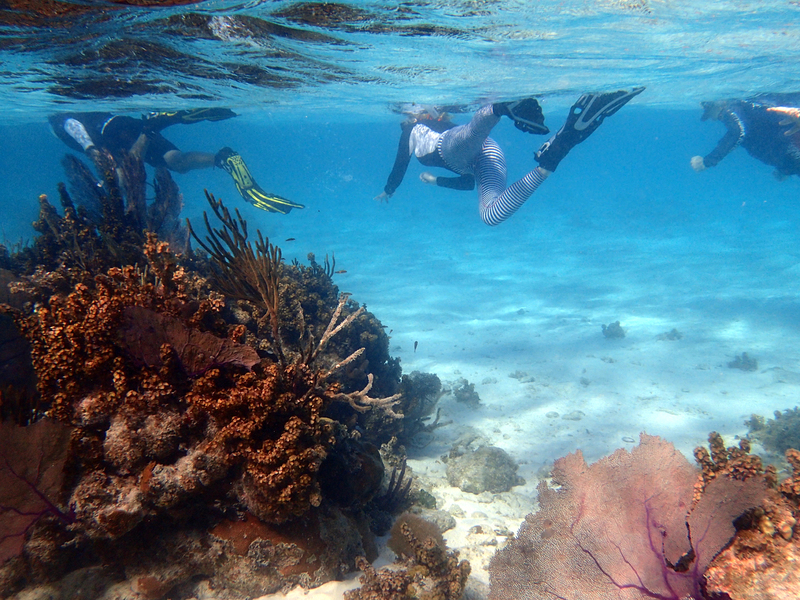 This forms a safe sea floor on which surfers can walk in the shallower zone, and falling off the break poses no danger in the deeper water since there are no sharp, protruding coral heads in the break zone. The swells vary in size from an average of 3-4’ but often will break with a 6-8’ face when it has been windy. 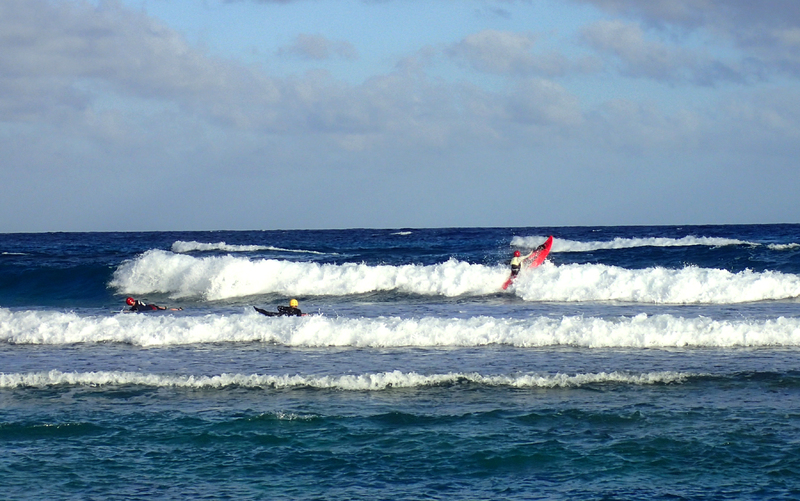 The NE Trade Winds blow fairly strong and are reliable, so there is almost always a break to surf. The wave begins in 8-10’ of water and rolls with a right shoulder break for several hundred yards on a good day. 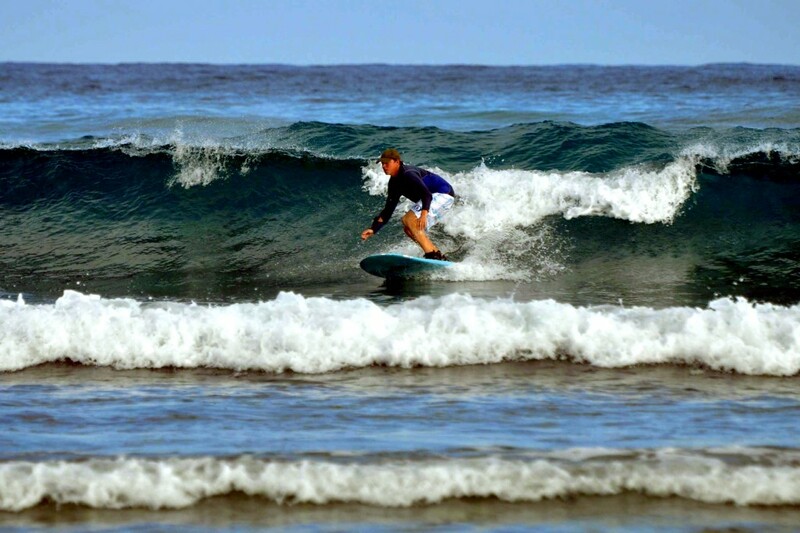 Surfers can thus enjoy a fairly long ride before the wave finally dissipates in the shallow water near the island. On the above link the page details about the wave, the level of surfer that should be surfing our wave, best time of year, what you need to bring, what Slickrock provides, and more.